Good morning everyone! Summer is half way there here along the Maine coast. If you haven’t been “down east” for a visit you really owe it to yourself to get here. This has been quite an unusual summer. “Drier ‘an a boot” as some would say. The weather has just been spectacular. I feel for the folks in the cities where the temperatures and high humidities are just sweltering. That heat has reached the Maine coast as well but only to warm the waters enough for very comfortable swimming. Funny how every harbor we go to is the “harbor of warm waters.” We have had lots of swim calls. Another unusual occurrence here along the coast has been the prevalence of wildlife. Nature seems to be putting on quite the show for us this summer. Up in the bay we have seen numerous razor billed auks, something we don’t normally see. Auks being pelagic birds are usually found outside the bays in the open ocean. My guess is that there must be something to feed on. “Tinker” mackerel are in abundance but they would seem to be a little big for an auk to choke down. I don’t really know what they are feeding on but the herring gulls are right there with the auks instead of hanging out at the local landfills. We fondly call these gulls “dump ducks.” Porpoise seem to be all around as well. I wonder if they feed on the same thing the auks are eating. I have been doing a lot of my photography with my iPhone but the wildlife have me reaching for my trusty old camera once again. My advice: grab your camera and come on “down east” for the greatest show on earth. You won’t be sorry. Posted in camden windjammer cruises sailing vacations, escape the heat, maine windjammer photography cruises and tagged maine sailing vacations, schooner Mary Day, schooner vacations, windjammer cruises in Maine on August 2, 2016 by Capt. Barry. I was pawing through some images from last summer and found this one of Eagle I. Lighthouse. 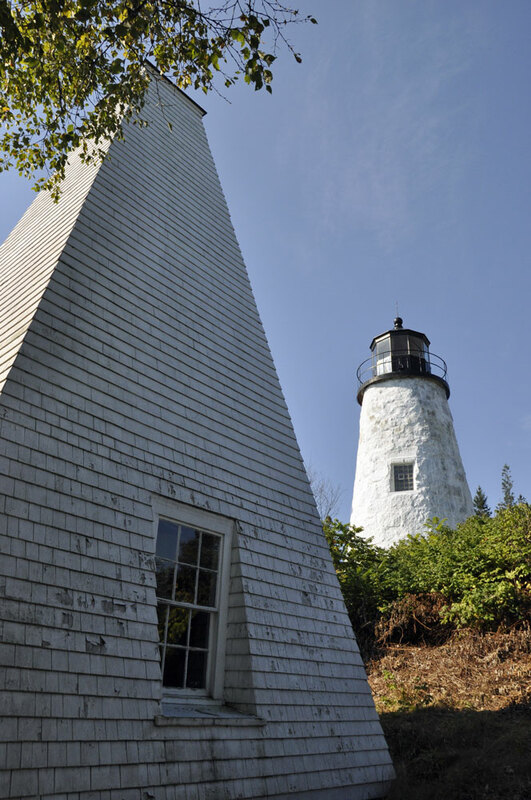 Being the keeper of a lighthouse was no easy feat during the 1800s. 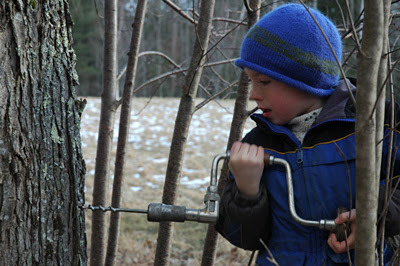 The pay was minimal, food was not included and the seclusion of some lights meant homeschooling, if a keeper’s family could be together, was a necessity. Many keepers fished, kept gardens, really lucky ones might have a milk cow and basically lived off the land and sea with only a few chances to get provisions like flour and lard. 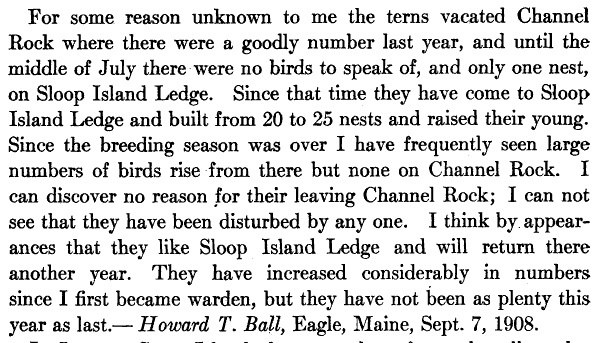 That a few keepers, like Howard Ball at the Eagle I lighthouse, managed all of this and also acted as Audubon wardens is admirable to say the least. First lit in 1838 with oil lamps and reflectors this light happens to be atop a large cliff (80’+/-) and lies at a tight little passage where Isle Au Haut Bay meets East Penobscot Bay. The tidal current really hums between Eagle and the largely inaccessible Hardhead I. It wasn’t until 1858 that a fourth order Fresnel lens was installed in the lantern atop the rubble stone tower. Today the light flashes white every 4 seconds with a luminous range of 9 miles. Keeper Ball’s brief notes are interesting to see given what was already on his very full plate. I can only guess that he must have made these observations while tending lobster traps since both Channel Rock and Sloop I Ledge are on the opposite side of Eagle I than the lighthouse. I have noticed abundant terns around neighboring Grass Ledge over the past several summers which makes me wonder if the terns hop from one nesting place to another to avoid overuse of particular nesting sites. Eagle I. with its year round community would have been a more socially forgiving place to tend a light. The one room school house still stands on Eagle I. The east facing meadow around the light would have provided some garden space although the larger south facing meadows around the neighboring Quinn house would have been more suitable. As I have been working these past few weeks getting in firewood I am amazed by the challenge it must have been for Keeper Ball to keep his family warm and fed through the long winter months in addition to the many other responsibilities he would have had to manage. I have no complaints in comparison. 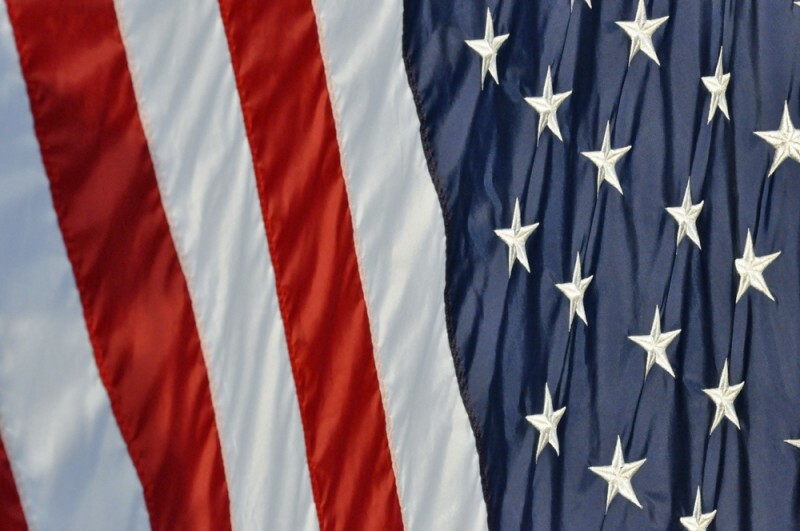 Posted in camden windjammer cruises sailing vacations, lighthouse tours in Maine and tagged camden windjammer cruises sailing vacations, Eagle I lighthouse, Lighthouse tours, Maine lighthouses, maine windjammer on January 6, 2015 by Capt. Barry. The herring carrier Jacob Pike as seen passing Mary Day, a Maine windjammer. Good morning everyone from the global headquarters of the schooner Mary Day. It is a blustery rainy morning outside. The power is out, again, so I write this thanks to a small generator humming away in the woodshed. Times like these make me think of warm summer days on the bay. This image is of the Jacob Pike, now a lobster smack working the Maine coast under the ownership of J&J Lobster out of Rockland. These folks have been putting her to work buying lobster in distant harbors and bringing them into Rockland at the end of the day. I believe I have seen her sitting in the Fox Island Thorofare just off North Haven village buying lobster. You can see the derrick with its boom for getting 100 pound crates of lobster aboard. She has a pile of lobster crates on deck at the ready to receive the days catch just forward of the main hatch. 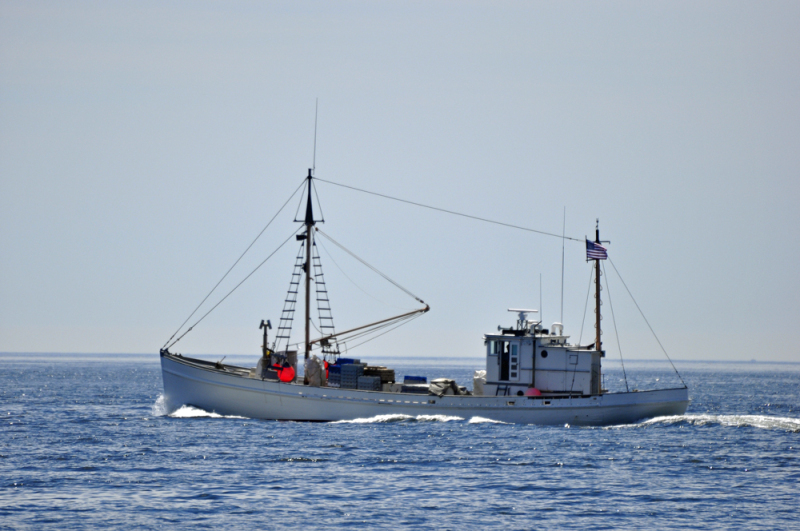 Built in 1949 by Newbert and Wallace in Thomaston she carried herring to the sardine factories in the day. Later on she carried herring for use as lobster bait. Just 80′ on deck she can carry up to 90 tons of cargo and still slip along along at 12 knots which suggests a streamlined hull form and a strong diesel power plant. Folks often wonder why the “pinked” stern. I have been told that a double ended hull allowed such a vessel to back right up to a fish weir’s gate for ease of loading herring. It also allows the stern to split a following sea which may be more to point since having the stern get lifted up and tossed about by the swells certainly wouldn’t help her handling. You can see that she hardly leaves a wake as she steams along. Anyway, she is a handsome vessel, no matter how you slice it. If I ever grow up I could imagine spending my days cruising the coast in a boat like the Jacob Pike, although that is not what she was meant to do. She is a classy working vessel and ought to stay that way as long as she makes her owners a living. I just love seeing her out there. Posted in camden windjammer cruises sailing vacations and tagged camden windjammer cruises sailing vacations, herring carriers, maine windjammer, schooner Mary Day, the Jacob Pike on November 24, 2014 by Capt. Barry. Pulling the foremast of the schooner Mary Day, a Maine windjammer offering scenic vacation cruises along the coast of Maine. Good morning everyone. Pulling the rig? What the heck is that? Well, in a nutshell, it involves pulling both masts and the bowsprit and its associated rigging, deadeyes and lanyards. The process involves a crane, moving the schooner to where a crane can reach the masts and casting off the rope lanyards that hold the mast rigging to the schooner. There are 3 sets of lanyards for each side of each mast. We also have to disconnect the head stay and the spring stay, that cable which connects the two mast heads. Oh, and then there is the part about lifting the mast out of the schooner without taking out all of the interior decorating. The masts are not plucked out by their mastheads but instead by their bases…or somewhere close to the base. In our case we use the saddles which are securely fastened to mast. 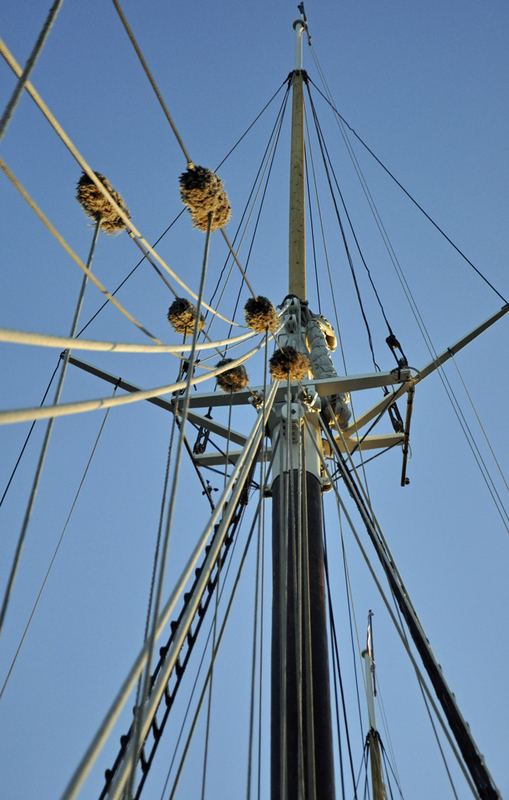 As you can see from the picture above the line (big, strong line) leads from the saddle to a hitch taken around the mast just above the mast’s balance point. Simple, right? Nerve wracking…yes. The masts, as you can imagine, are quite heavy. 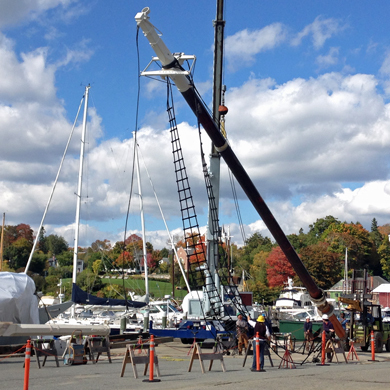 The 68′ main mast weighs in at 4900 lbs and the 65′ foremast just 300 lbs. less, 4600 lbs. The bowsprit is surprisingly heavy weighing in just shy of a ton at 1700 lbs. As you will see in the accompanying video (By JimDugan.com) the bowsprit is such a tight fit that we had to do a lot of wiggling to get it out. So enjoy the video, 2 hours compacted into 1 minute, 11 seconds. Posted in camden windjammer cruises sailing vacations on November 19, 2014 by Capt. Barry. Good morning everyone. What a beautiful stretch of weather we are enjoying here in the Great State of Maine. We are out and about exploring the coast again this week with Maine Master Naturalist Erika Rhile and Photography and Web-Guru JimDugan.com. But I am getting ahead of myself. 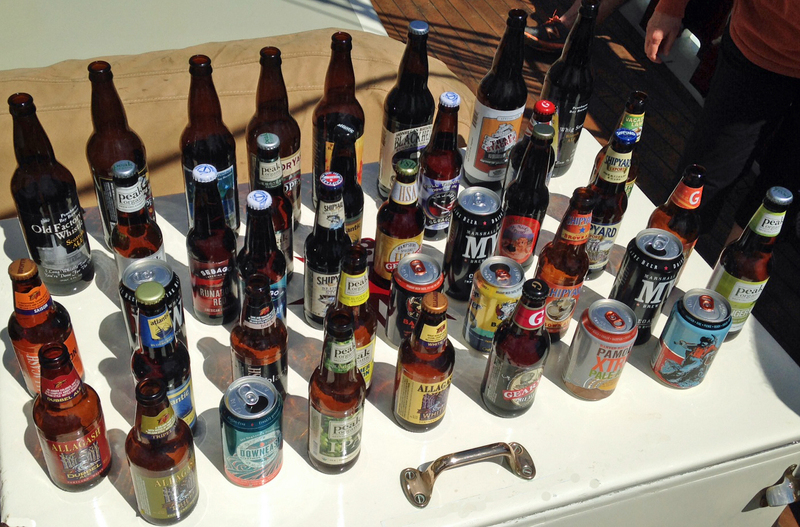 As many of you know last week was our annual Beers of the Maine Coast Cruise. Last week was a hoot but not in the way many of you might imagine. No, it was not a drunk-fest. We really did learn to savor and appreciate the many complexities and nuances of beer. Whoda thunk it? Right? Our human taste buds, as it turns out, allow us to enjoy bitter and sweet, salty and sour. But have you heard of umami? Deliciousness is the best translation of this Japanese term that has been around for longer than we westerners have acknowledged. Someone back in 2000 figured out that umami is an actual savory genetic taste recognized by a particular receptor in our taste buds. I like this word umami. What a nice way to describe beer or anything else for that matter. Folks may not appreciate a beer that is too sweet or too bitter but everyone found at least one of the 45 beers we sampled to have deliciousness. I was shocked how much I enjoyed fermented cider, a beverage I had written off long ago. 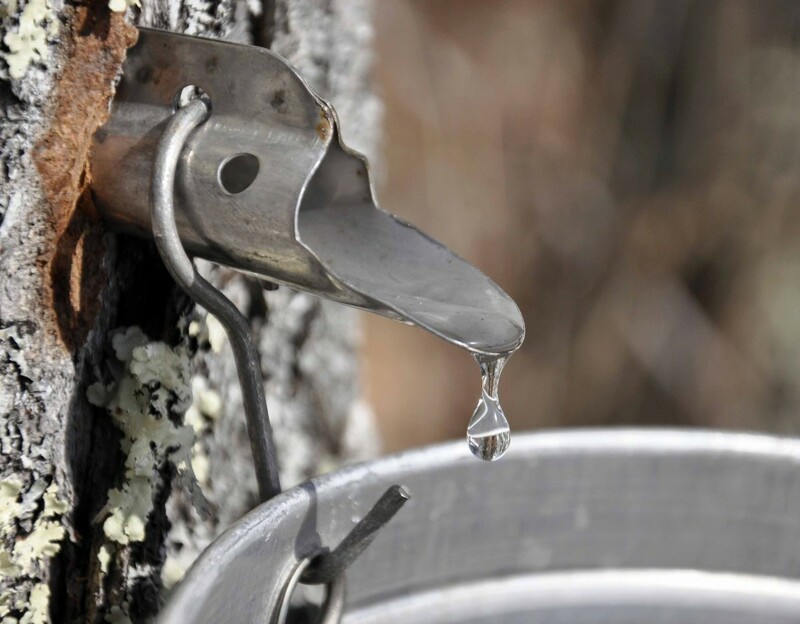 Cider is not a beer of course but the point is that umami is more than just a taste. Deliciousness is a feeling as well. I like to use the word delicious when describing good naps. Or anything else that brings me the warm fuzzy feelings of relaxation. What tastes of umami for you? Posted in camden windjammer cruises sailing vacations on June 24, 2014 by Capt. Barry. Good morning everyone.This image caught my eye in the sunset last evening as we lay at anchor in Northeast Harbor. For those of you who have not had a chance to travel here let’s just say that folks here are living large in their summer homes. By the way that means they have winter homes too. Maybe they even have spring and autumn homes. That’s OK but for those of us sitting aboard the schooner last evening watching guillemots dive and crows chasing bald eagles in the sunset we were witnessing a beautiful world while most shoreside estates stood empty. Richness was ours to enjoy. But before I start getting cynical about folks I don’t even know (some of whom made Acadia National Park possible) I just want to say “thank you.” I am grateful for this beautiful place we call home and all of you folks who have sacrificed to allow us to enjoy the simple riches. Relaxing at sunset, sailing the coast of Maine, astounding views of Acadia National Park rising from the ocean, enjoying stories shared by folks who were strangers three days ago and now share a story that is still unfolding. Thank you one and all. Have a grateful day. Be well. Do good. Posted in camden windjammer cruises sailing vacations on June 11, 2014 by Capt. Barry. Good morning everyone. We are off and running for Mary Day’s 53rd season. Though not without a few bumps and bruises the crew is beginning to see what all that hard work was about during April and May. Mary Day herself is just beautiful. The simplicity, complexity and symmetry of the rigging is a wonder to behold. I know I just used the words complexity and simplicity side by each but they both hold true. There is a complex physics behind the connections between each and every string and wire. There is a simplicity in the final result which allows 4 (or sometimes fewer) people to pass the sails from one tack to another. I believe it was Buckminster Fuller, designer of the geodesic dome and a Maine island rusticator, who coined the term “synergy,” the idea that the individual parts create a much larger whole. The same holds true for our beautiful guests. A complex group of human beings come together every week and by trip’s end are one community bound by the strength of their unique experience. The connections made share that same unique quality and can never be replicated in quite the same way. Like the evolution of the schooner rig the basic simplicity of the experience doesn’t change but the synergistic result is inspiring. Remove any piece of rigging and the experience changes completely. Enough philosophical ramblings for one blog. Get out there and try to recognize for yourself the rigging that holds your life together. Try to notice, without judgement, and imagine how the connections keep you stayed allowing you to sail smoothly through life. Be the schooner! Posted in camden windjammer cruises sailing vacations and tagged camden windjammer cruises sailing vacations, maine windjammer, natural connections, schooner Mary Day on June 8, 2014 by Capt. Barry. Good morning everyone. 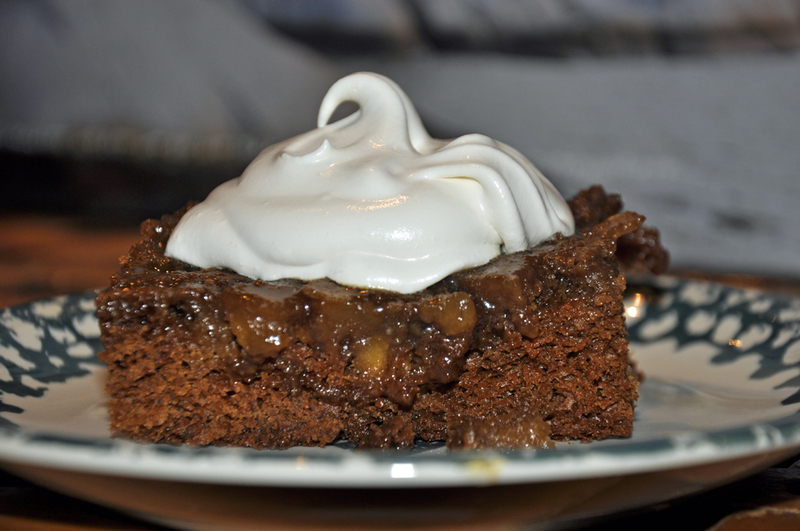 Apple Topped Gingerbread Cake with Maple Cream is a seasonal favorite that Jen found somewhere along the path of life. It is our family’s taste of the holiday season. It certainly warms our hearts as much as it does our tummies and is rich with memories of holidays past. With the winter solstice upon us this cake also forms a bridge between the seasons from autumn to spring with its appealing combination of fall apples and spring maple syrup. The apples keep this cake moist. As to what type of apple to use…well, that is a debate for the ages. Jen prefers a Macintosh but admits that apples are such a personal preference that she just as soon steer clear of telling anyone which variety to use for this particular recipe. I prefer a sweet-tart variety like a Northern Spy or, believe it or not, a Macoun which is usually reserved as a hand-apple. Maybe a pippin? Depending on where you live local varieties will dictate what is freshest. I steer away from the sweetness of the Delicious varieties. This is just my personal preference so for you highly opinionated apple afficianados out there…..relax. Melt butter, add sugar and spread in bottom of 8×9 pan. Arrange apples on top. Mix all together. Pour on top of apple mixture. Bake 35-45 minutes at 350′. Cool for 10 minutes. Invert onto a serving plate and serve topped with maple cream. Best served warm! Maple cream is very easy. Mix 1 cup of whipped cream with 1/4 cup of maple syrup. As Jen would tell you, the maple cream is divine and so simple you might be tempted to skip it. But don’t do that! Don’t worry about calories. The maple syrup balances out any calories that might be found in the whipped cream. Have a great solstice and enjoy this holiday recipe. Let us know how it comes out and give us your opinion on your favorite variety of apple. Be well. Do good. Posted in camden windjammer cruises sailing vacations on December 20, 2013 by Capt. Barry. Good morning everyone. Hope you folks enjoyed the Thanksgiving holiday surrounded by friends and family. Some of you folks lucky enough to have sailed with us during our Seamanship and Sail Training course several years ago may remember Steve Stone, filmmaker extraordinaire. Steve spent several days interviewing guests and documenting the process through which students become working crew. Though it doesn’t appear in this video Steve even documented how to sail a schooner backwards…parallel parking, if you will. I can’t wait to see that footage. 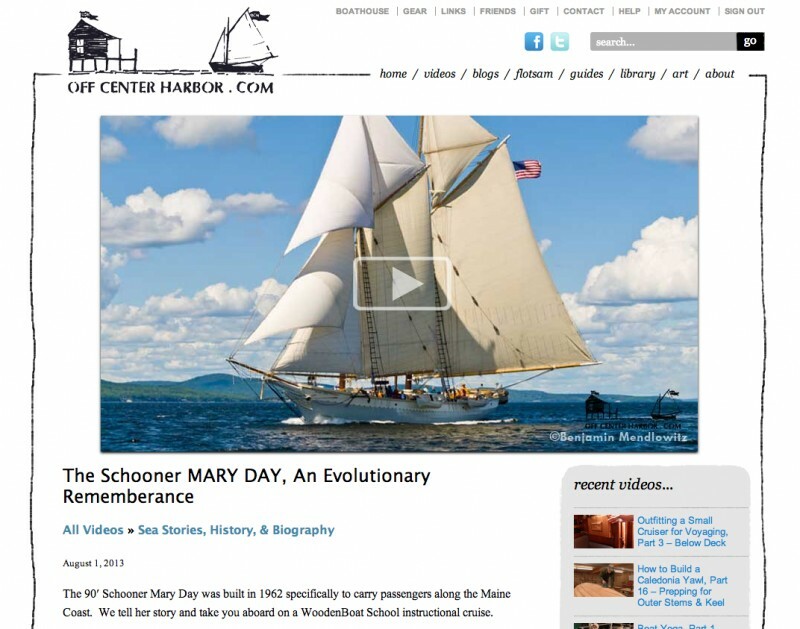 At any rate, here it is, the finished product:The Schooner Mary Day, An Evolutionary Remembrance. If you have never seen it, OffCenterHarbor.com is a membership website that brings you inside the world of classic boats. Their growing collection of 140+ videos give you rare access to the leading craftspeople who build, restore and sail these wonderful boats. Though the link above gives you free trial access to their website this is a subscription based service so don’t expect to get all this talent and hard work for free. It is well worth the price of admission. I can’t speak highly enough about the quality of the work these folks produce and guarantee the token subscription pales in comparison to all the hard work and years of experience these highly revered professionals bring to Off Center Harbor. Posted in camden windjammer cruises sailing vacations on December 3, 2013 by Capt. Barry.